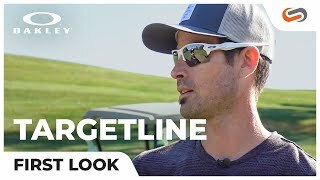 Oakley Targetline sunglasses embody sports performance. With angled brows and sleek temples, the Targetline fits well under a hat for an unmatched optical experience on the field. A taller lens and integrated side shields guard against sunlight without compromising performance. The lightweight O-Matter frame construction is lightweight but also highly durable. Perform at your full potential with the Oakley Targetline.